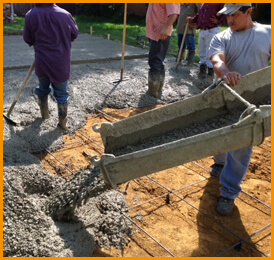 We’re Residential Concrete Contractors In Fort Worth, Dallas, Arlington. Get Facts About Driveways. Need concrete contractors? Fort Worth, Dallas or Arlington, TX residential properties often need service. We’re experts who offer free estimates all throughout the DFW metroplex. If you want to know the facts, give us a call. We have extensive experience working with driveways, parking lots and other surfaces. Whether you require assistance in Arlington, Dallas or Fort Worth, we’re qualified concrete contractors you can count on. Why Residential Concrete Contractors In Fort Worth, Dallas, Arlington? The best reason to enlist knowledgeable contractors is because we know how to deal with the types of concrete problems that typically develop in this area. Due to sizzling weather and soil movement in North Texas, cracking is a common occurrence. Gaps often become apparent in the summertime, especially in surfaces such as driveways. Before selecting a contractor that pours and paves concrete surfaces in the Fort Worth, Dallas and Arlington areas, it pays to review facts about concrete contractors that service residential properties. Contact our Fort Worth, Dallas or Arlington office and we’ll be happy to evaluate your cracked concrete damage at no cost. It’s important to remember that many things affect concrete, including poor soil compaction and excessive amount of water and heat. Prolonged exposure to moisture due to flooding or inadequate drainage can cause concrete cracks, separation in expansion joints and sinking. Because of severe weather in the metroplex, concrete contractors in Fort Worth, Dallas and Arlington area often need to resurface parking lots and sidewalks. We’re contractors that service houses that require concrete work, apartment complexes, hotels and business centers. Professionals make surfaces better by using a concrete mix that is appropriate for the area being created. 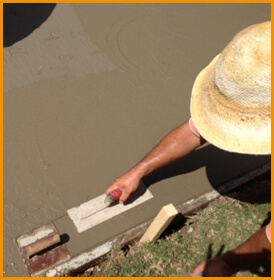 At HD, we use different strengths of concrete, with a minimum psi of 3,500. We typically use 4,500 psi concrete for residential driveways and sometimes utilizes concrete with 5,500 psi for commercial projects like parking lots. You’ll need to know what kind of concrete mix the contractors are going to use for your Dallas, Fort Worth and Arlington property. Whether restoring, paving or installing walkways, retaining walls, stairways, curbs or other concrete surfaces, call us. 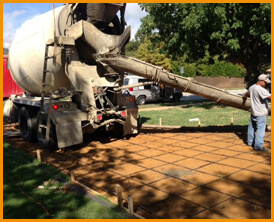 We’re concrete contractors that serve the entire Dallas, Fort Worth and Arlington metroplex. To learn more, contact HD and we’ll provide you with factual information about concrete. Because its durable, it’s been used around the world for almost 700 years. If you think your Arlington, Dallas or Fort Worth property needs attention, schedule a free concrete contractor estimate online today. We service the entire DFW area.